We created this printable summer worksheet to help children learn and practice recognizing things that are the same. 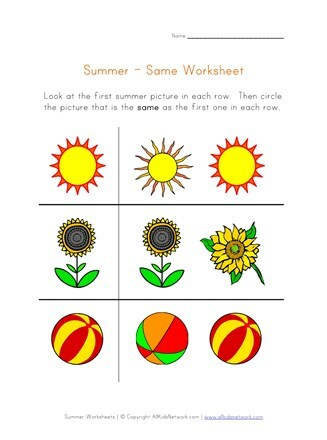 Help kids learn this important preschool concept by looking at the first summer picture in each row and then circling the summer picture on the other side that is the same as the first. 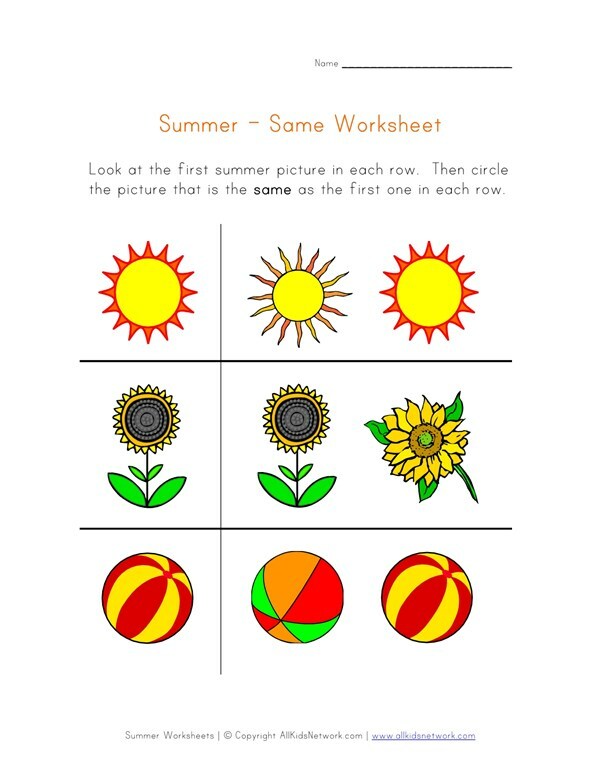 Click the image or link below to print this worksheet and check out the rest of our summer worksheets as well as our section of summer crafts for kids.